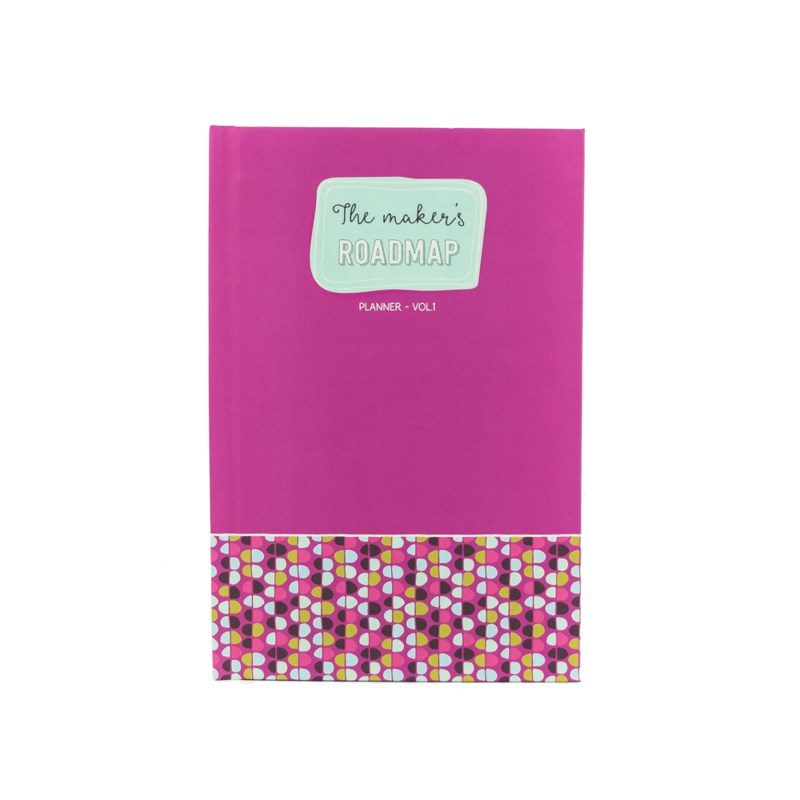 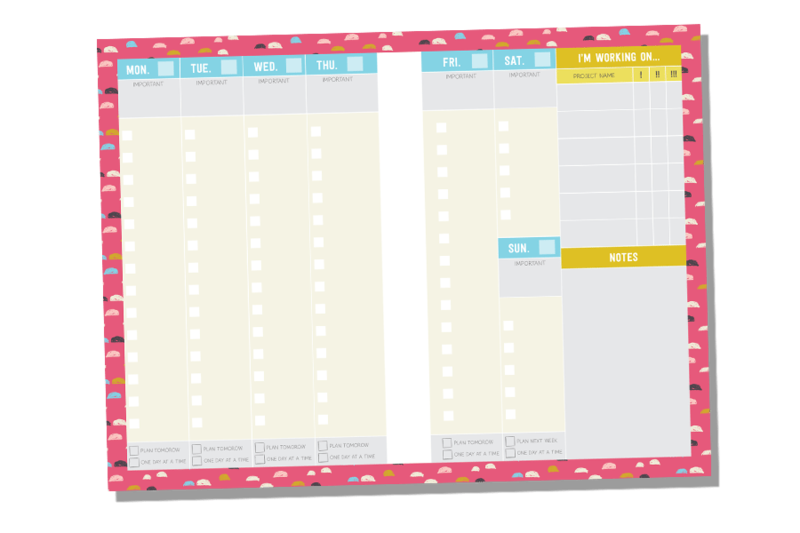 A productivity planner and growth framework for makers and handmade shop owners. 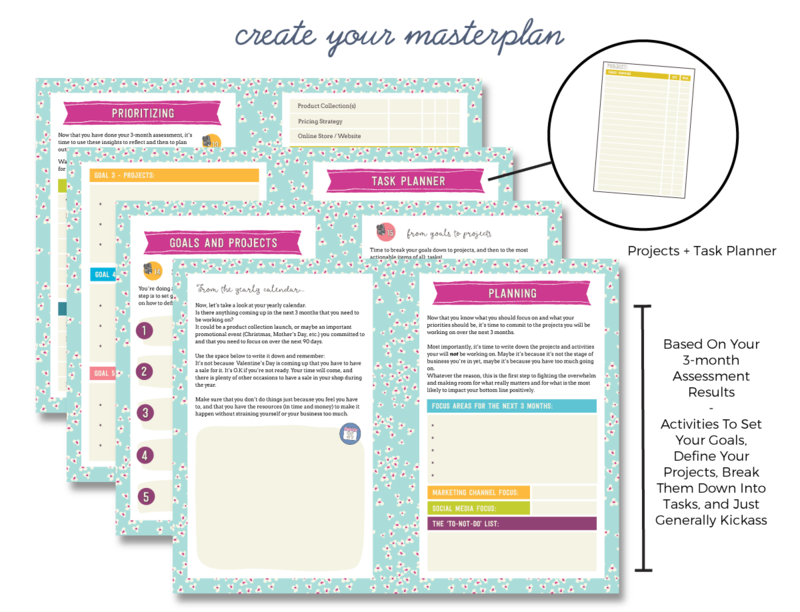 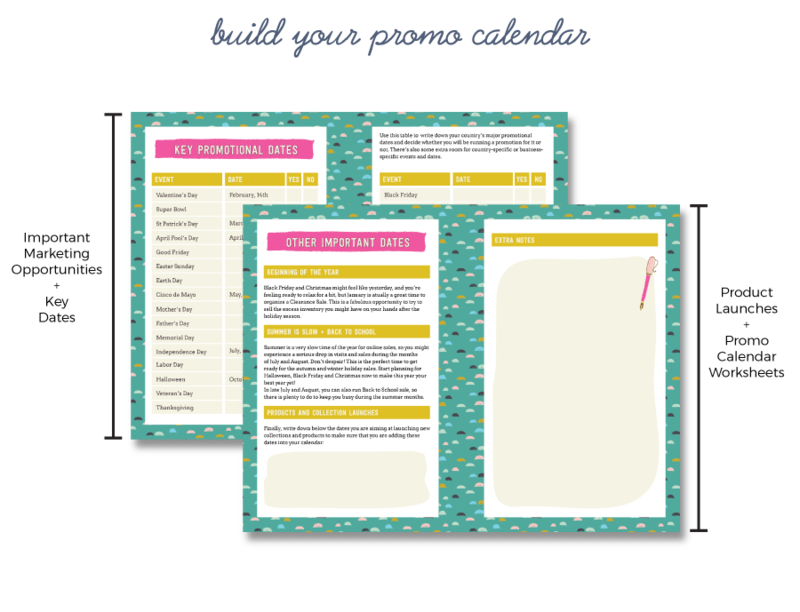 ♥ An implementation system to finally beat the overwhelm, set goals you can achieve, and be more productive than ever. 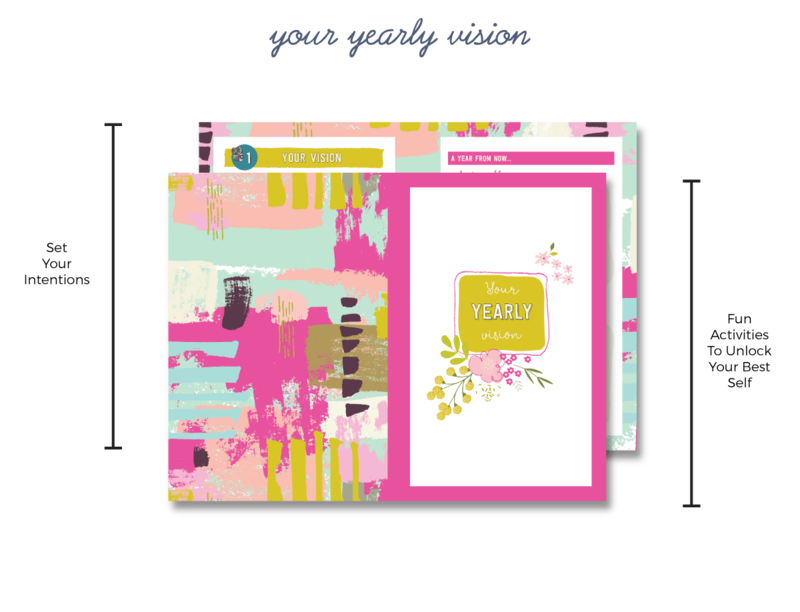 How GOOD would working on your handmade shop feel if you knew for certain that what you’re working on is what will have the most impact on your shop’s growth and sales? 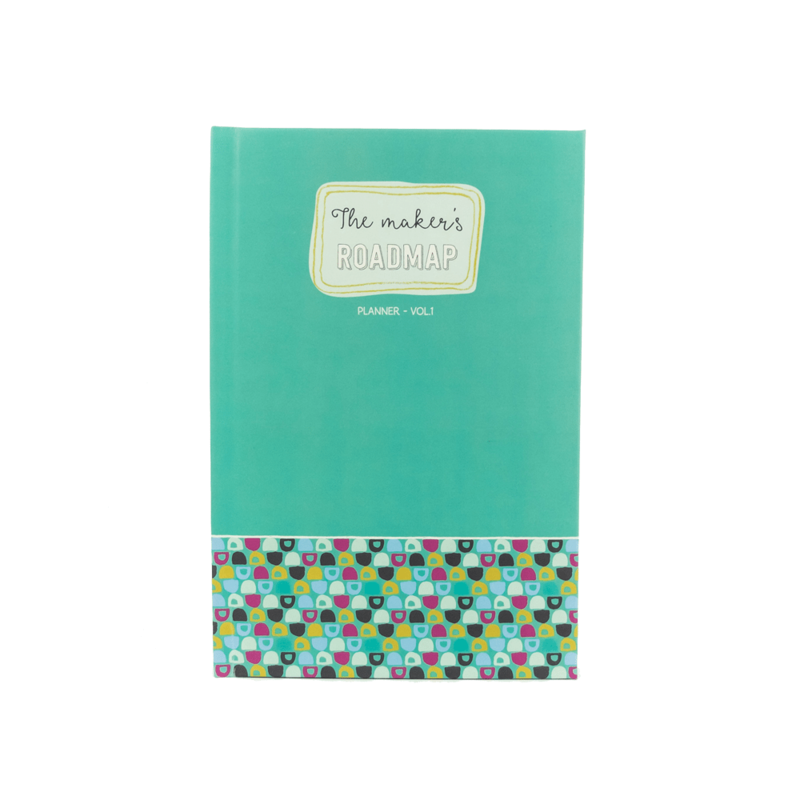 The Maker’s Roadmap is like having a coach by your side telling you every step of the way “Do this”, “Now, focus on that” so you can start seeing some real results, and get more sales. 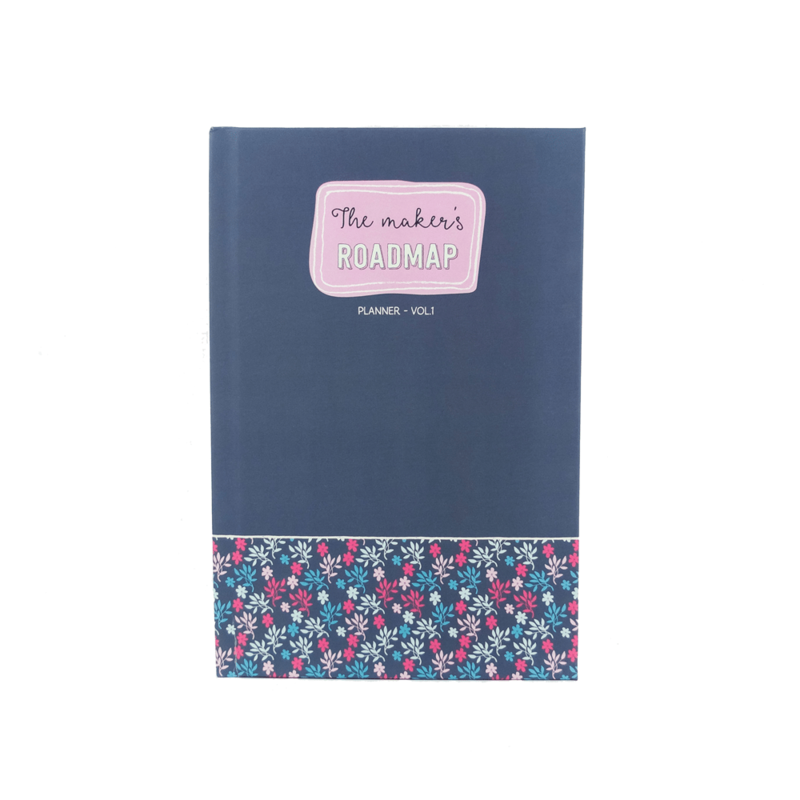 The Maker’s Roadmap is like having a coach by your side telling you every step of the way “Do this”, “OK, now do that” so you can start seeing some real results, and get more sales. 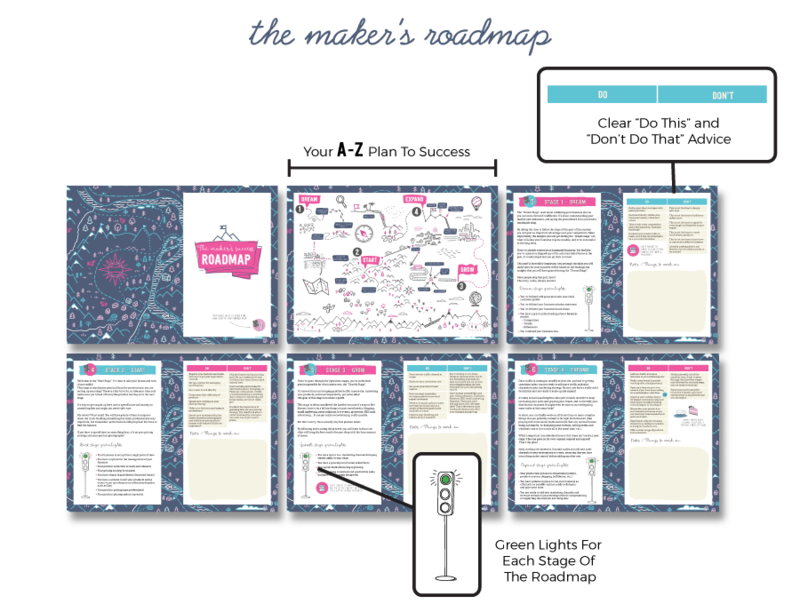 The Maker’s Roadmap is made of 4 handmade business growth stages. 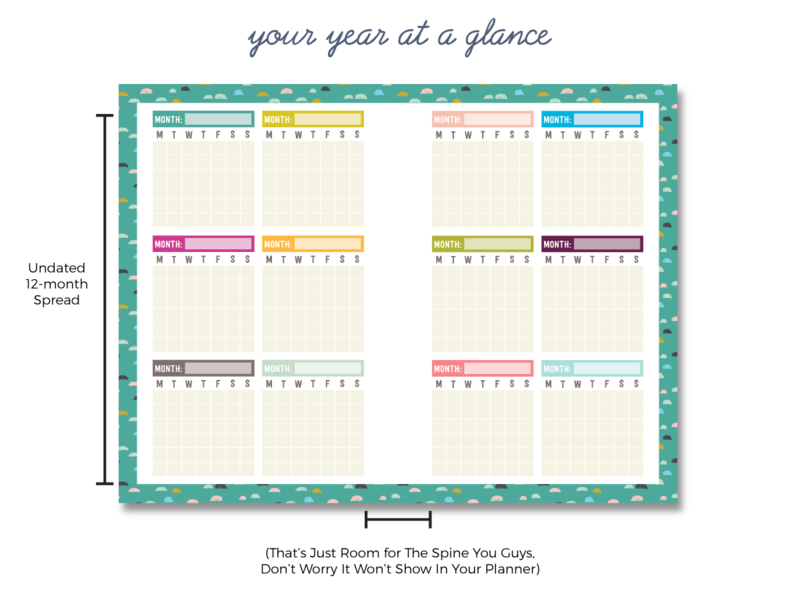 The planner will help you understand which stage you’re currently in and give you directions regarding what you should be focusing on right now. 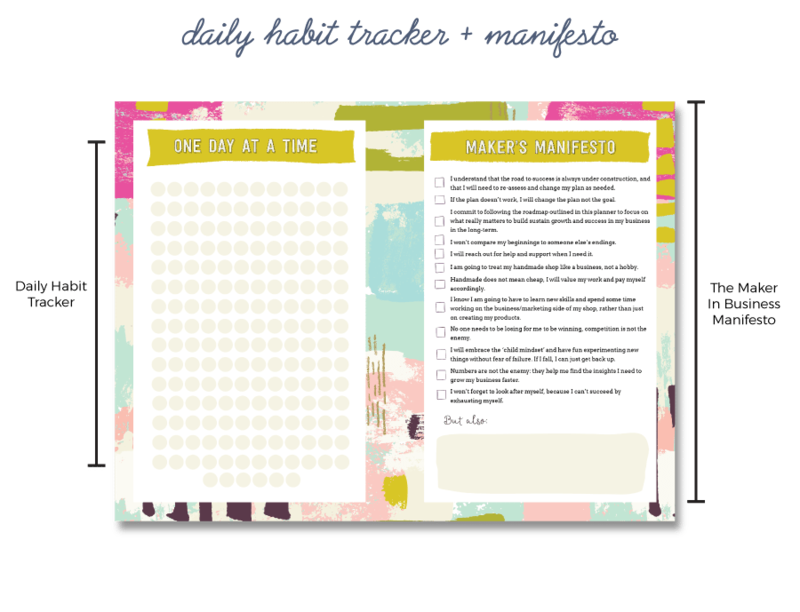 Each stage has a list of activities you should be focusing on VS forget about, as well as green lights so you know what you need to get done before moving on to the next stage. 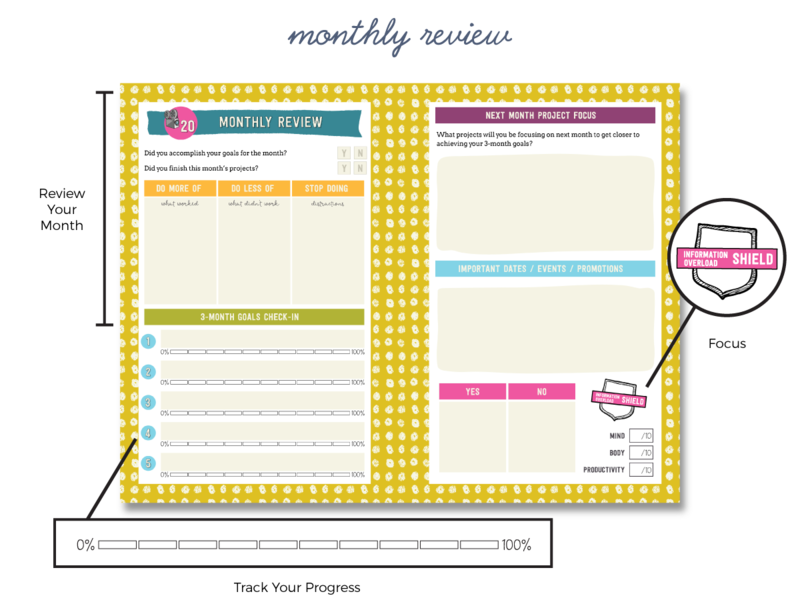 Every 3 months, the handmade shop assessment and prioritisation framework help you set new goals, and get clarity on what projects you need to focus on to achieve those goals. 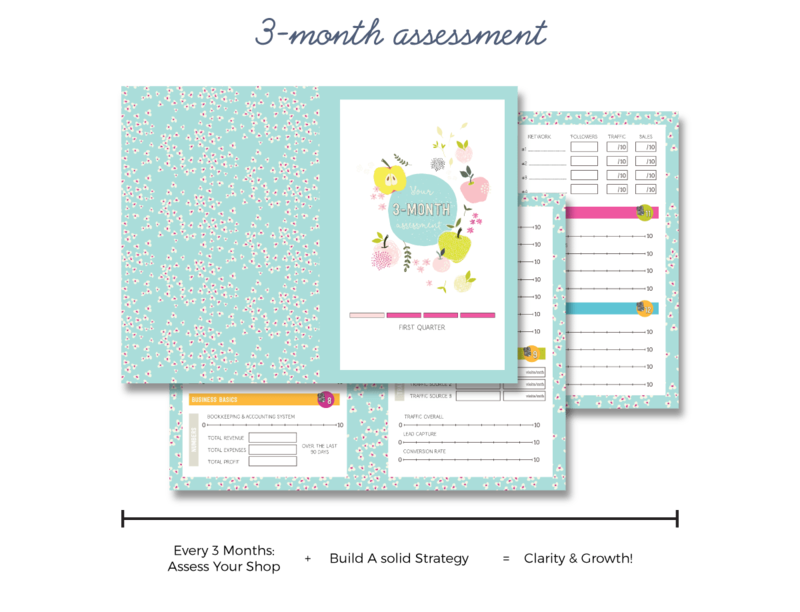 From the results of your shop assessment, the planner will take you through a few activities to help you get your priorities in order, set goals, and break them down into achievable chunks: your projects and tasks. 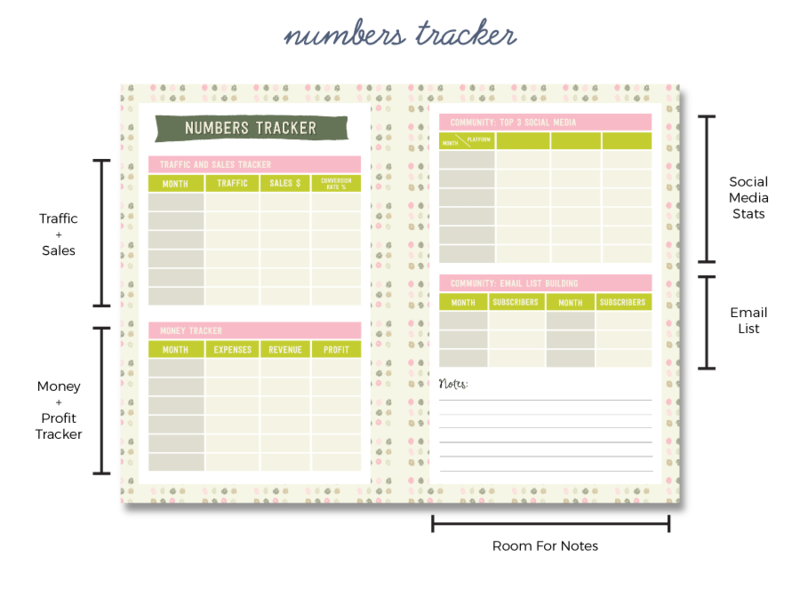 Everything you need to become a productivity and time-management master – even if you work another job and have kids at home. 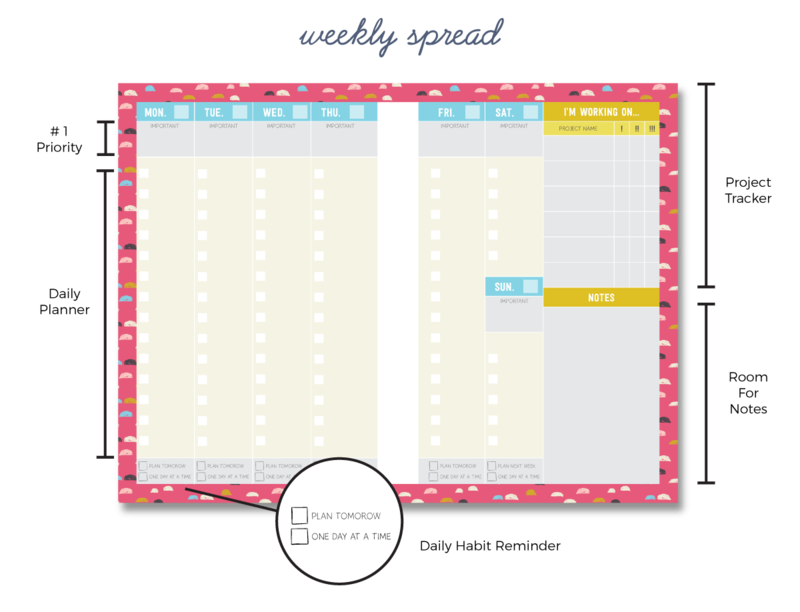 Weekly and monthly spreads (and a handy task planner!) 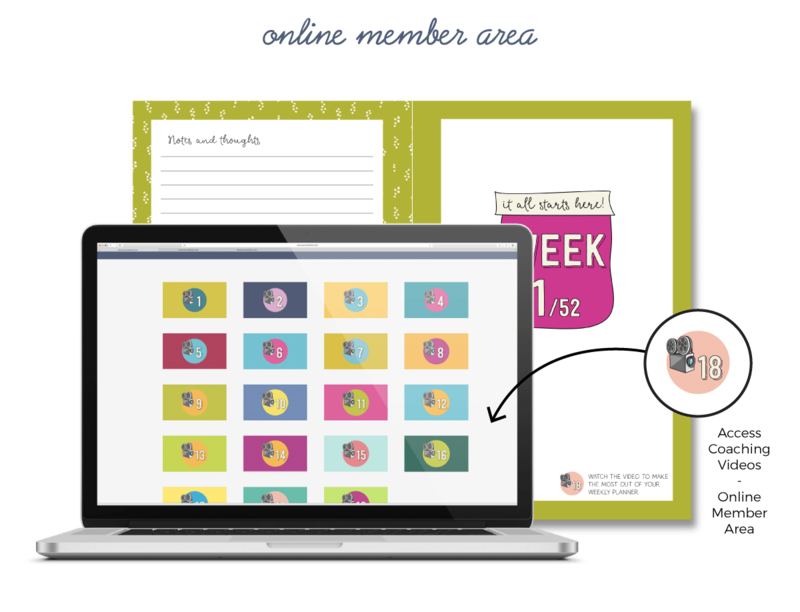 let you organize your life and business, all in one place. 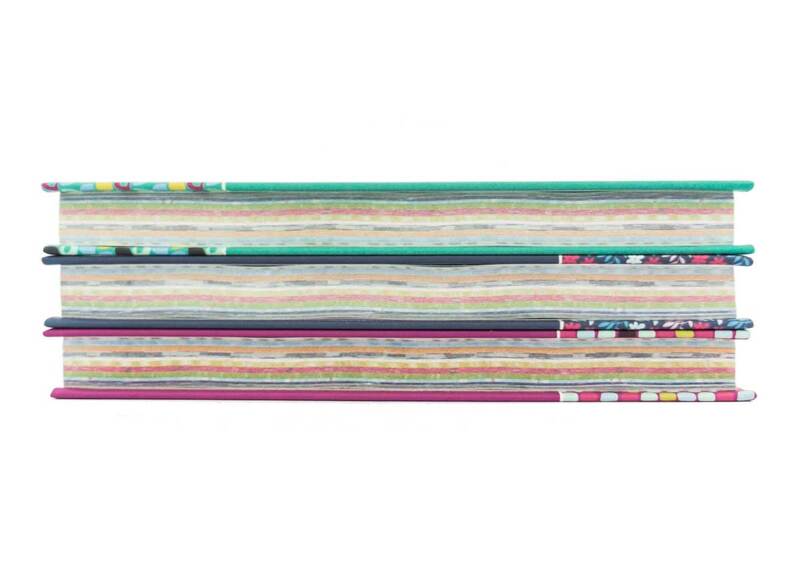 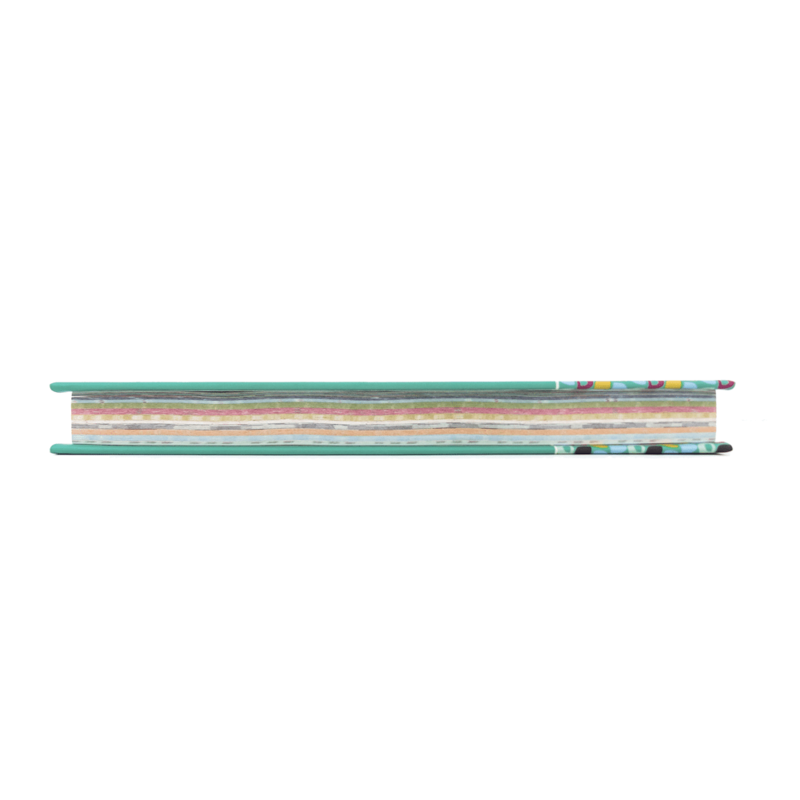 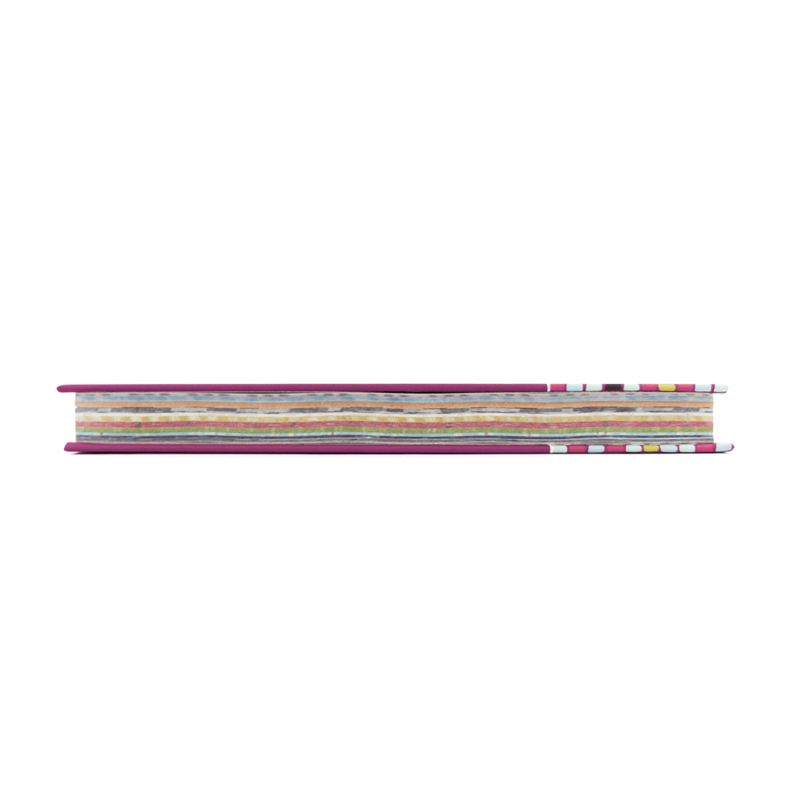 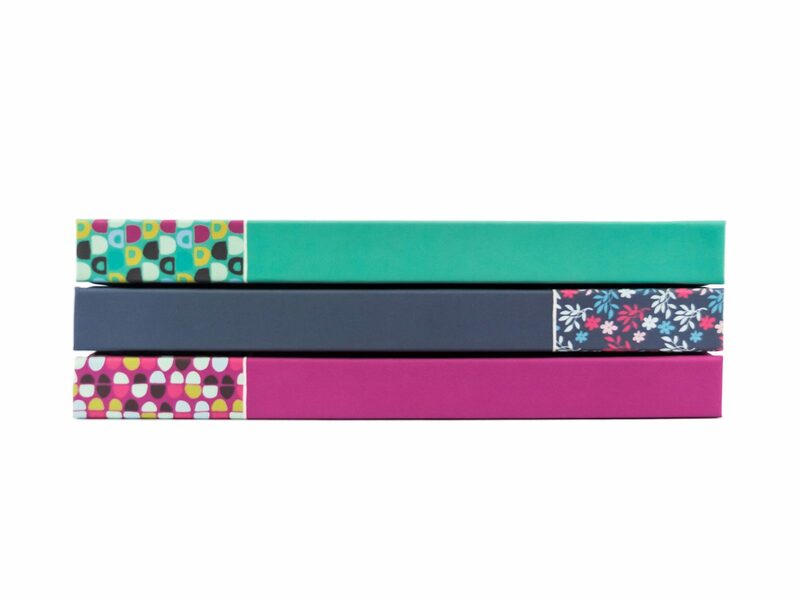 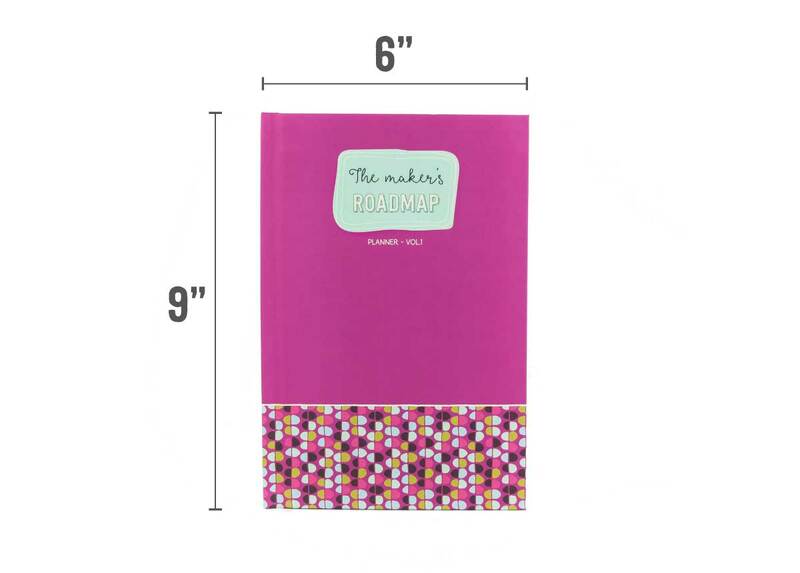 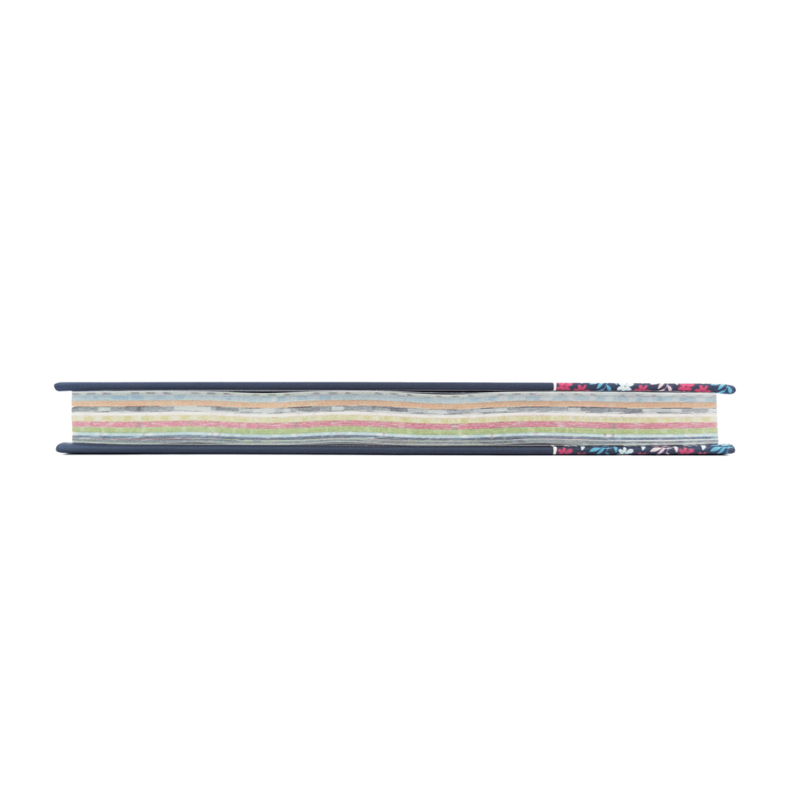 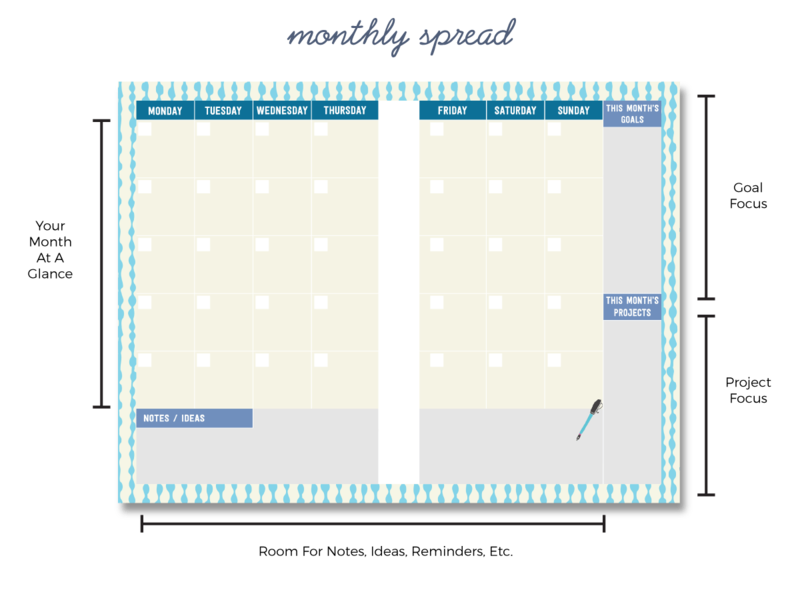 Keep track of important events, projects you’re currently working on, and anything in between. 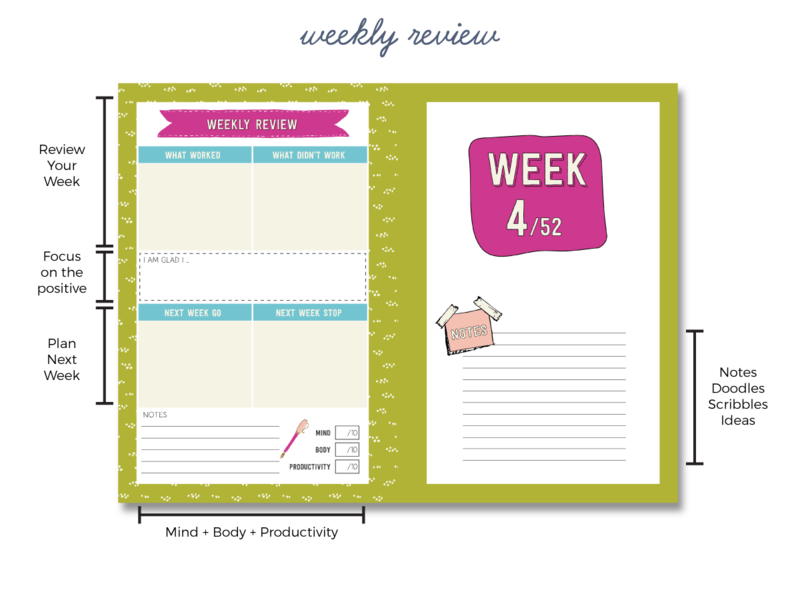 Weekly, monthly and quaterly reviews help you stay on track so you can achieve your goals, every single time. 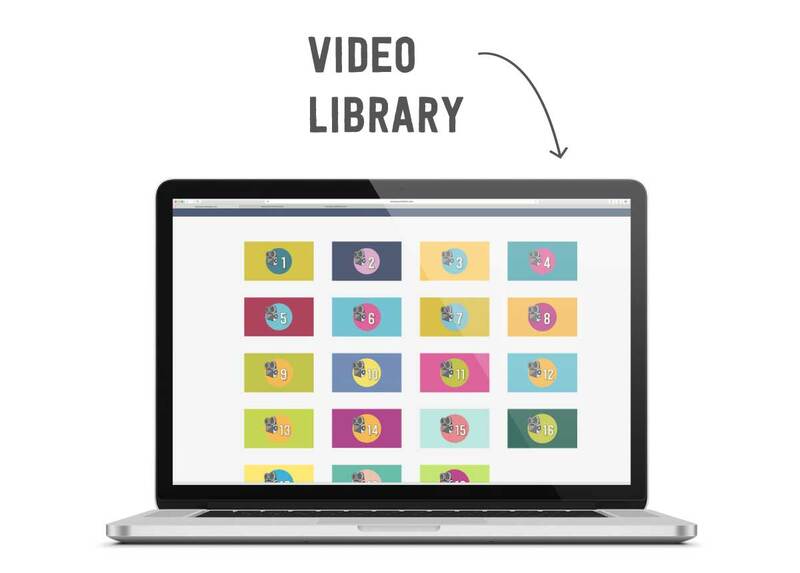 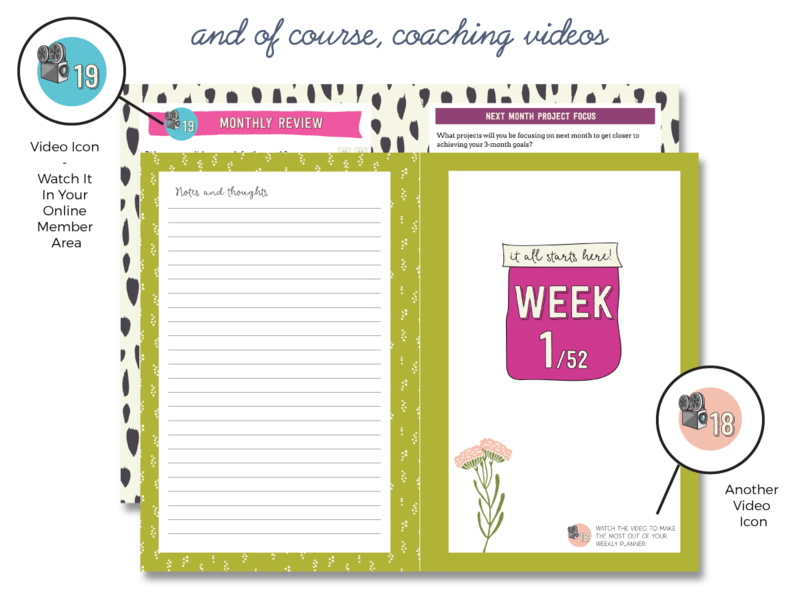 That’s because the planner includes coaching videos that you can access online. 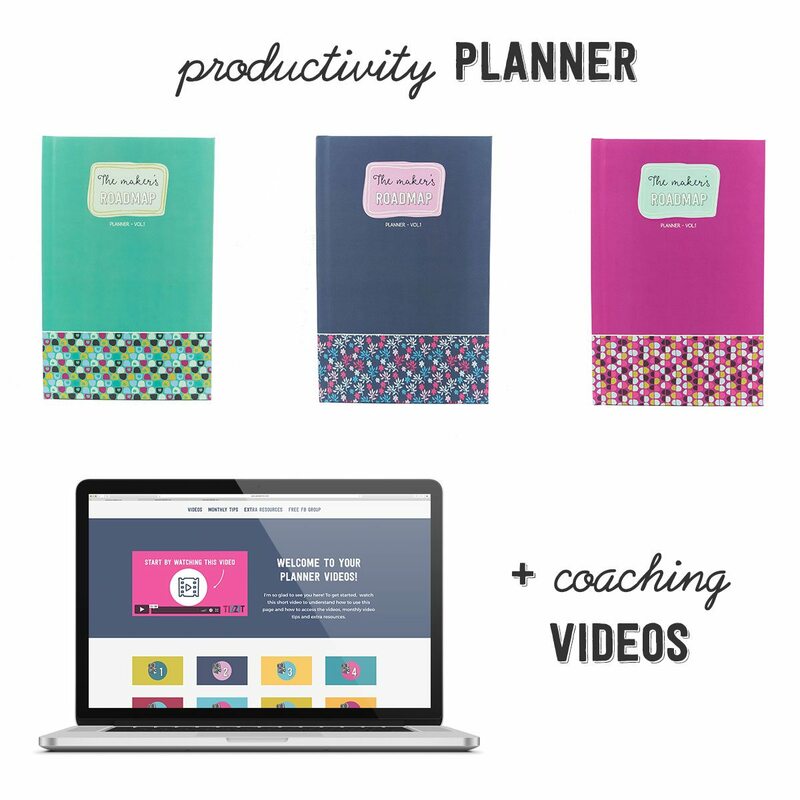 These videos will guide you as you make your way through the planner’s activities. 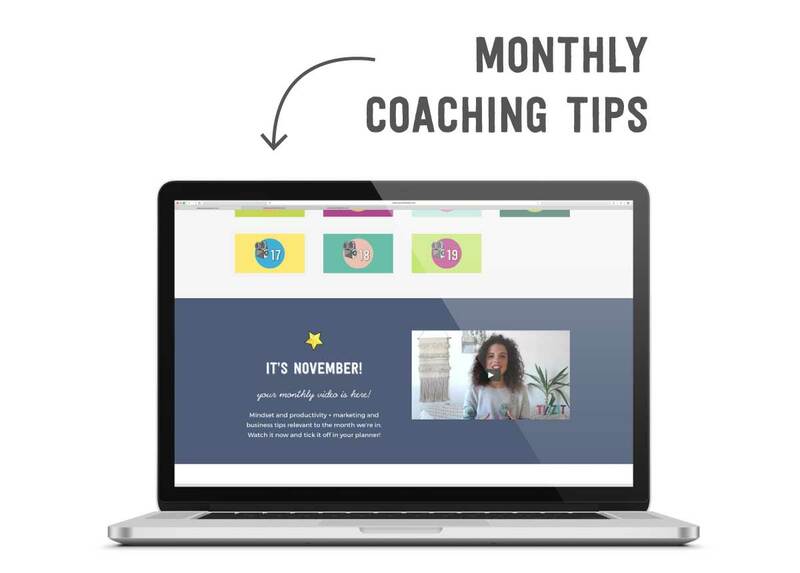 Every month, you’ll also get access to a coaching video including mindset + marketing tips related to the month we’re in so you’re sure to make the most out of your marketing calendar.